Watch as Akpororo surprises friend's father with car gift! Akpororo gifts his friend's father a Toyota Camry car in a very emotional video. This is probably the most touching and emotional video you&apos;d watch today as Akpororo surprises his friend&apos;s dad with a car gift. 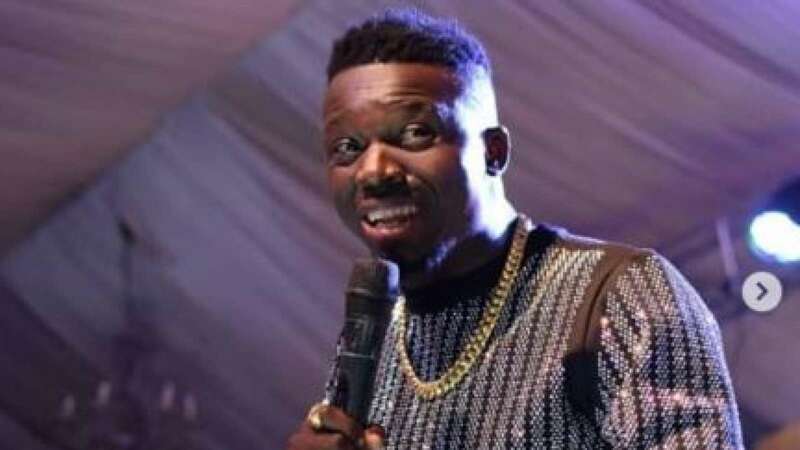 The comedian took to his Instagram page on Friday, November 9, 2018, where he shared a video where he presented the car gift to the elderly man. According to him, he stayed with them and they took him as a family years ago and this is just one way of thanking him for his kindness. "He&apos;s complaining about TV set but he didn&apos;t know God has a bigger plan for him, he thought I bought the car for myself but little did he know that the car belongs to him. Special introduction #roronation that&apos;s MR OLUWOLE he accepted me with love into his house many years ago when his son (Gbenga) brought me to him and I stayed with them for years, thanks for being a FATHER and for believing in me, thanks for allowing God to use you in my life. Please #roronation help me celebrate him. #roroking #irepchrist #mrswag #imjustgettingstarted #nademdeyrushus #everywherestew," he wrote. The visibly excited father, after receiving the car gift, prayed for the comedian and cheered by his family members as he received the keys of the car. This latest gesture by Akpororo is coming just a few days after he surprised his mother with a car worth N7M. Akpororo has surprised his mum with a car valued at N7 million on her 50th birthday celebration. The comedian took to his Instagram page to share a video of how surprised his mum was when the car gift was presented to her. Akpororo wrote, "Little surprise/gift at church in Warri to my super mum, thanks for believing in me, for your advice and prayers. I pray for more strength, favour, grace, peace, health, wealth to fall on you happy 50th birthday to my number one fan. I love you so much bcos you are the best…"
The car, a white coloured Toyota Venza 2010 edition, was presented to Akpororo&apos;s mum in Warri, Delta State. The 50-year-old woman had thought her son bought her a phone when the gift was presented to her inside the church premises. In the video, the comedian&apos;s mum opened the phone pack only to find the key to a car. Her joy knew no bounds as she jumped around and headed straight to where the car was parked outside the church.